"Look for our Feature Article in the Spring/Summer issue of Simply Saratoga coming out in May of 2019 by Megin Potter". brings together for the first time two very innovative building technologies: The Geodesic Dome and Earth-sheltered housing. 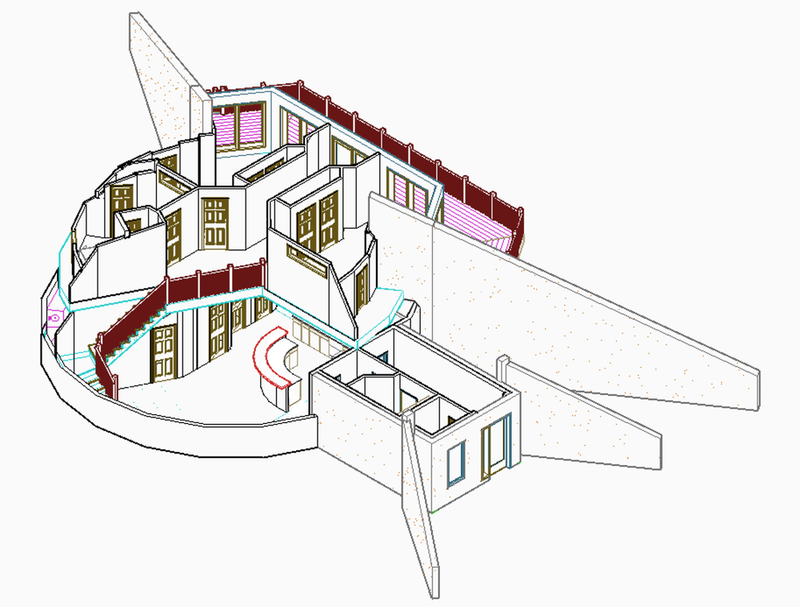 Let us build your dream home, or come along as a partner or shareholder for all future builds. Conventional home construction is inherently inefficient. It lacks “structural integrity”. Expensive materials must be added for it to gain structural stability. This box or cube has five of its six sides directly exposed to the extremes of weather. We then spend more money to minimize the costly effects of that exposure. As you can see, this notion that home design must start with a 'cube' is as self-defeating as it is automatic. We rarely question ‘the cube’ assumption and in so doing, we carry design flaws at the expense of design innovation into the future before the first nail is driven! In the Northeast, the outside wall of that box might be -20 in January and +100 in July. But we'd like the inside wall to be 70 degrees throughout the year and we spend (unnecessarily, we contend) to get it. It may take the form of ongoing expensive heating and cooling costs or retro-fitting that structure with energy-saving appliances, additional insulation, or wood stoves. Ultimately, we are dealing with an inherently inefficient design. Couple this with the loss of the American Dream of home ownership over the last few decades and it's easy to conclude that people, seeking a practical alternative, are ready for such an innovation as the Geodesic Earthworks Performance Structures Home.. Password required. To request access, contact us here. (1) Far greater energy efficiency: can this home's interior temperature vary just 3.5 +/- degrees, winter to summer? (4) Costing no more than typical rectilinear construction. The 'function' described above is very difficult to achieve with typical rectilinear construction as that 'geometry', being based on the 'cube', is innately lacking structural integrity. 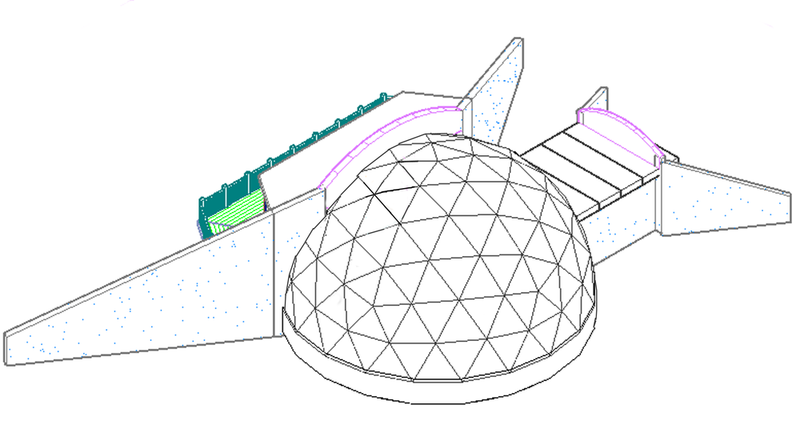 The superior 'geometry' of a geodesic dome has an innate structural integrity (in fact the greatest) allowing us to build from a position of strength, minimizing materials and setting the stage for achieving the above four performance objectives. 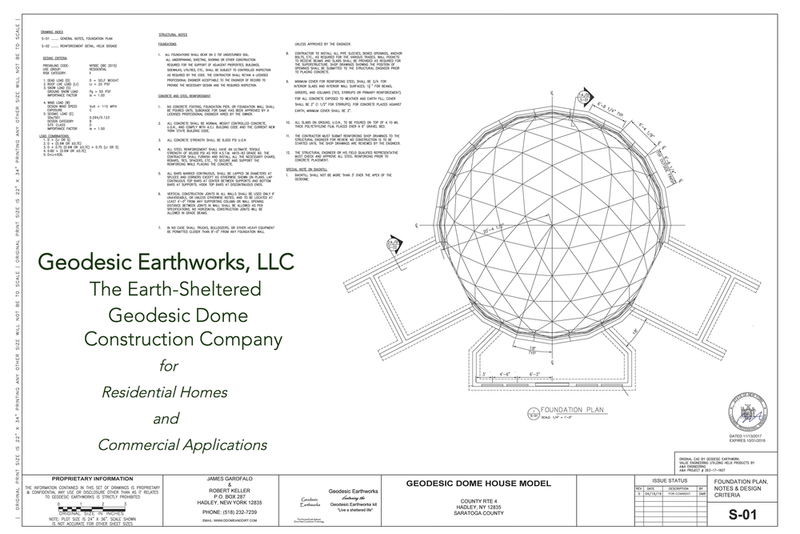 The geodesic dome therefore gives rise to the patent pending Geodesic Earthworks Dome-Forming System (GEDFS), and the Geodesic Earthworks Performance Systems Home! Whether you want to build a Geodesic Earthworks home for your own peace of mind or own a stake in the company, the time is now! We are ready to build! Our designed and engineered plans are for a 1,925 sq. ft. 3 bedroom, 2.5 bath home from 2 stories. Or, with a slight modification, this structure could easily be your office building! The use is versatile, but the advantages are present in either! Let us know what we can answer for you. We're a phone call or e-mail away! Ready for your next adventure? Ready to live the dome life? Go Geodesic with your commercial building. Invest in Geodesic Earthworks and our patent-pending technology. Investor Friends: Can We Show You More? An opportunity awaits! 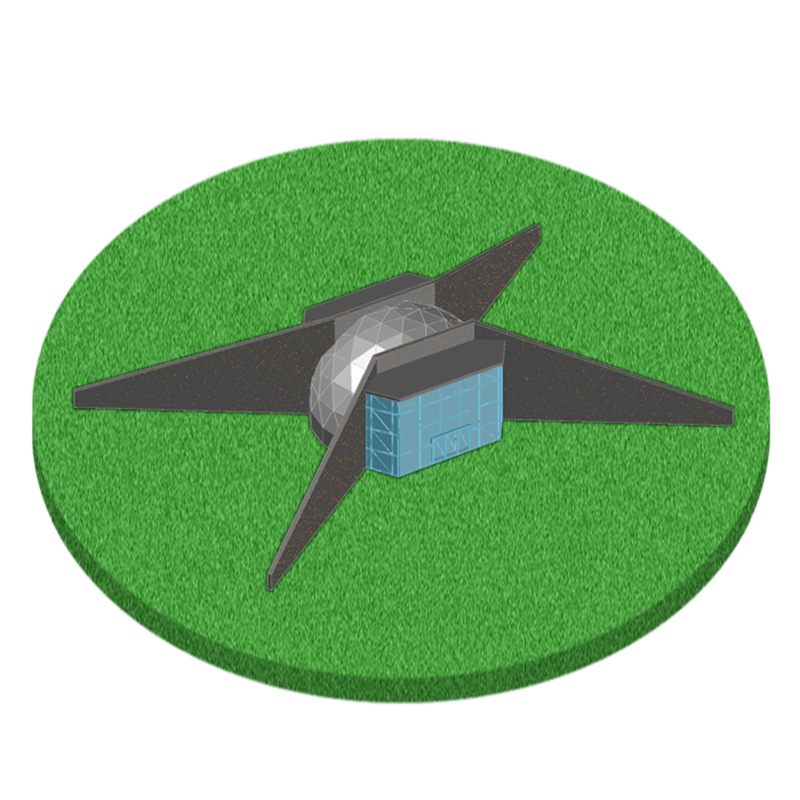 A confidential Business Plan, complete set of building plans with stamped Engineered structural details and a patent-pending proof of concept model dome has been prepared. Should you be interested in this opportunity, we're ready to present to you. Please call 518-232-7239 or use the form to contact us with any questions or to make an appointment with us! Thank you!